Need a credit card with generous cash-back or a 0% interest period? Discover credit cards offer great rewards and many of these cards come with 0% introductory APR offers. If you are a student, there are also student-friendly Discover cards, offering cash-back rewards and no late fees on the first late payment. 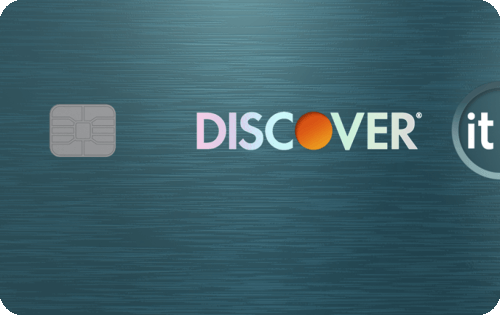 Here are our picks for the best Discover credit cards. For overall cash back rewards the Discover it® Cash Back card has a lot to offer. In addition to a flat-rate unlimited 1% back on all purchases, Discover offers 5% back on rotating categories each quarter, up to the quarterly maximum each time you activate (remember you have to enroll every quarter!). Discover gives you visibility over the full calendar of quarterly rewards which means that you can plan upcoming purchases accordingly to get the most cash back. Commonly used for: 0% Introductory APR, EMV, Free Credit Score, Mobile Pay Ready, Points, Price Protection, Unsecured credit card, Zero Fraud Liability. 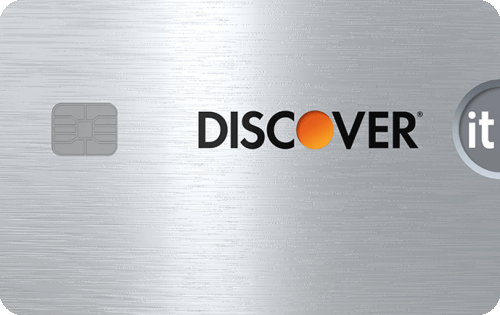 The Discover it Miles is the best travel card offered by Discover. It has a really simple rewards structure to understand - earn 1.5x miles on every purchase, and when you make a travel purchase you can redeem your miles via a statement credit to your Discover account. No rewards portals or points transfers to deal with at all. 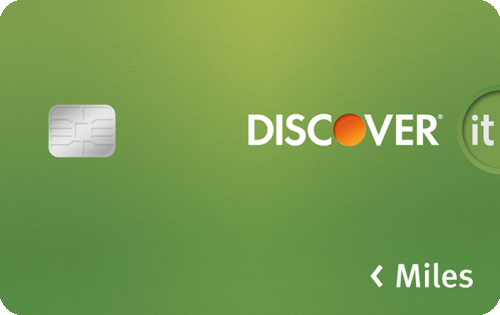 Plus, Discover does their usual first year match on your rewards with this card. So, whatever miles you earn in your first year, Discover will match that and deposit it into your account. This is the best balance transfer card offered by Discover, featuring an 18-month 0% intro APR period on balance transfers to help you pay off an existing balance. The balance transfer fee is 3% of the transfer amount and the APR goes to 14.24% - 25.24% (variable) after the intro period. 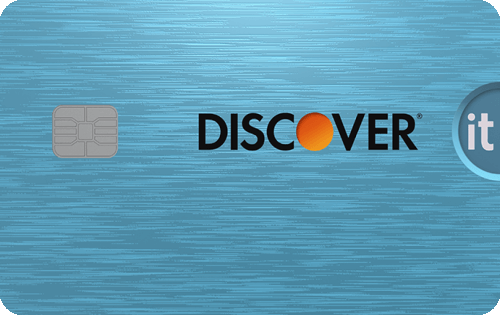 If you need to pay off existing debt and like Discover, this is the card for you. Commonly used for: 0% Introductory APR, EMV, Free Credit Score, Mobile Pay Ready, Price Protection, Unsecured credit card, Zero Fraud Liability. The Discover it® chrome is a solid rewards card for people who are just starting out and don't plan on spending a lot with their credit card. You get 2% cash back at gas stations and restaurants (up to $1,000 each quarter) and 1% cash back on all other purchases. 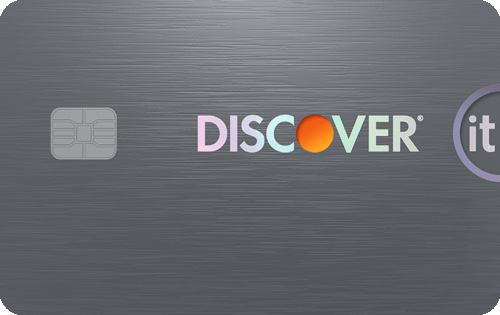 Plus, Discover does their usual cash back match at the end of your first year with this card. Students looking for cash-back rewards should consider this card. The flat-rate 1% back on all purchases is bolstered by the 5% cash back returns on rotating categories every quarter when you enroll (up to a quarterly limit). Discover gives you full visibility of the bonus categories coming up for the year so you can make sure to buy that new laptop or plan that road trip you've been thinking about to make the most of the 5% bonus categories. Discover will also match all of the rewards you accrue in your first year, a great incentive to make sure to pay attention to the 5% rewards category coming up. If you want to build your credit and earn cash back rewards in the process the Discover it® Secured card is an excellent option. Secured cards require a refundable deposit and, unlike a prepaid or debit card, enable you to build a credit history. In addition to helping you stay on top of your FICO score, Discover offers 2% cash back at gas stations and restaurants on up to $1,000 in combined purchases per quarter, and 1% on all other purchases. After your first year as a cardholder Discover matches all of the cash back rewards you have accrued. This is a great option to help you earn cash back on your spending while you work on your credit score. Commonly used for: 0% Introductory APR, EMV, Free Credit Score, Mobile Pay Ready, Price Protection, Rotating Cash Back Categories, Unsecured credit card, Zero Fraud Liability. This card is identical to the normal Discover it Cash Back card, except for a couple of awesome perks for NHL fans. First off, you can customize the card to have the logo if your favorite team! 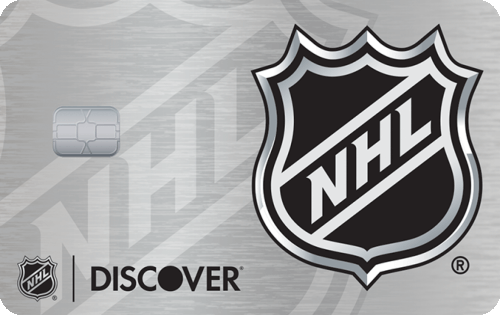 You can also save 10% when you shop at shop.nhl.com and nhl.tv. For each school year that your GPA is 3.0 or higher Discover will give you a Good Grades Reward of $20 in a statement credit (for up to 5 years). The card's 2% rewards rates on gas and restaurant spending (up to $1,000 combined per quarter), coupled with 1% cash back on all other purchases, makes this a great student card that deserves consideration.